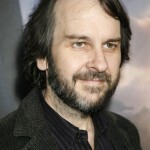 Peter Jackson announces his next movie project! 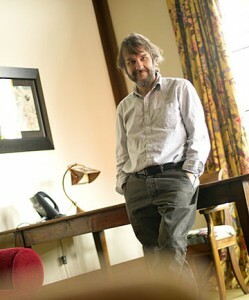 Peter Jackson made a recent announcement on his facebook page that his next movie project will be adapting Philip Reeve’s book, Mortal Engines. The book is set in a post-apocalyptic future where cities move about on wheels, devouring smaller cities for their resources. The book is the first in a series of four books, presenting the opportunity for ‘sequels’ down the road. It’s been a quiet few months, but I’m very happy to tell you that our next project is now underway. 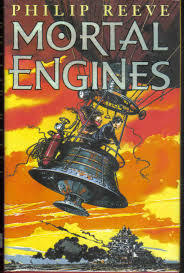 WingNut Films be producing a feature film based on Philip Reeve’s book Mortal Engines, to be directed by Christian Rivers. The script has been written by Fran Walsh, Philippa Boyens and myself. Some of you may recall that Christian was going to direct the Dambusters a few years back. Since then he’s kept himself busy, making short films, and directing Second Units on The Hobbit and Pete’s Dragon. Our involvement in Mortal Engines actually pre-dates Dambusters (which is still happening) – Christian actually worked on Mortal Engines previs way back in 2009. It’s very exciting to finally get it underway! We’ve had the rights to Philip’s book series for several years, but have had to wait for the right time to make it. If you haven’t read the books, you should. They present a stunning look into the future, when all of Earth’s major cities are now mounted on wheels, roaming across the landscape as massive “Traction Cities”. Our society has build itself on the principals of Municipal Darwinism – this basically involves the bigger cities hunting down, and consuming, the smaller ones. And that’s only the backdrop to an original and emotional personal story. Philip Reeve has created a range of intriguing characters, following their adventures in our strange future world through four books – “Mortal Engines”, “Predator’s Gold”, “Infernal Devices” and “A Darkling Plain”. The moment we read these novels, we knew what exciting movies they’d make. I literally can’t wait to see them! The movie will be financed by MRC and Universal, and shooting will get underway next March, in New Zealand. Producers Zane Weiner and Amanda Walker, who both worked on the Hobbit, will be spearheading the NZ based team, along with Deborah Forte in the US. No casting to announce yet, but Weta Workshop and Weta Digital are both onboard. With the wheels now rolling on Mortal Engines, I’ll bring you a lot of news and sneak peeks at what we’re doing over the coming months. 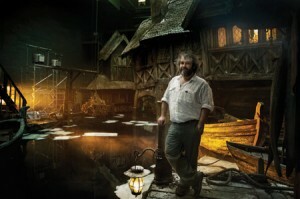 Director Peter Jackson chatted with New Zealand media the other week about The Hobbit: The Battle Of The Five Armies… and what he (and Wingnut Films) plans to do after it’s all over. 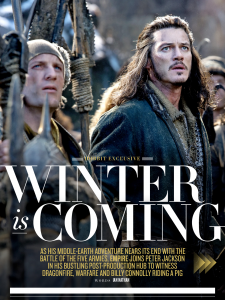 Our friends The Heirs of Durin have full scans of the September issue of Empire Magazine and their “access-all-areas” tour of the final Middle-earth movie’s post-production facility. I’ve picked the eyes out of it and listed some highlights below (contains some minor movie spoilers), or you can follow the link below and read the article in full yourself. Thanks to Ringer Eol for the link. The digital remaster of Braindead will be released post-The Hobbit (one for TBHL fans. There is already a working cut of the film, with only a couple more shots to “chisel into shape”. Without credits, the cut currently runs to 150 minutes and Jackson says he’s aiming at 140 minutes. Thranduil’s Warmoose will return! (Yay!!). Line from Thranduil to Thorin: We’ve come to tell you payment of your debt has been offered… and accepted. The orcs have all manner of creatures. Not just trolls, but creatures they have bred for their armies. 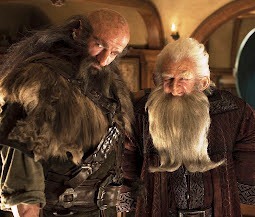 Negotiations between Thorin and Thranduil conclude abruptly when Dain Ironfoot’s “cavalry” arrives. The dwarves are mounted on battle goats and battle rams. Dain rides a warpig. Fairly wide-ranging interview from Deadline with Peter Jackon conducted around the time of the San Diego Comic-Con. It actually contains little that’s new: the fact that The Dam Busters film is still on the cards will be of interest to war-buffs who remember the 1955 original. And apparently Jackson and Mortensen have chatted about those 3D comments that Viggo made to press a couple of months back, too. Something something misquote. Supposedly. 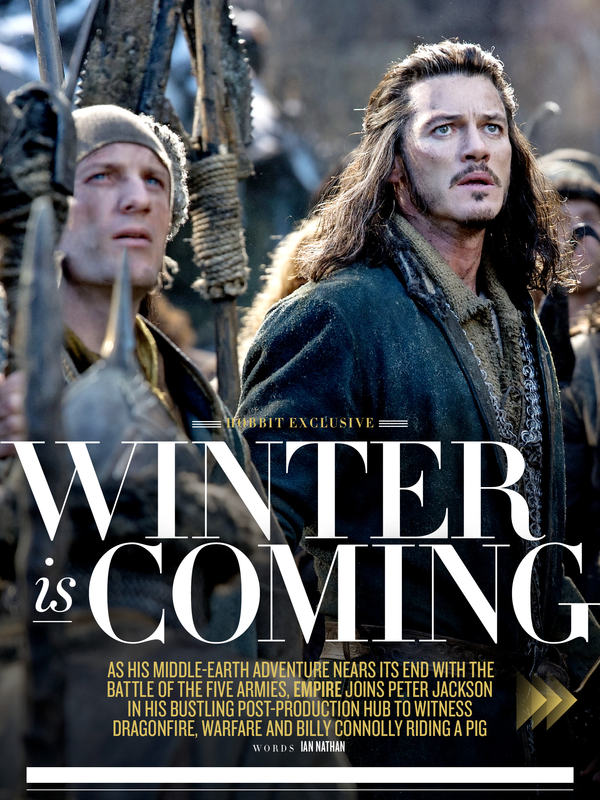 Posted in Christopher Tolkien, Hobbit Movie, J.R.R. Tolkien, Lord of the Rings, MGM, New Line Cinema, Peter Jackson, PJ's Other Films, Studios, The Hobbit, The Hobbit: The Battle of Five Armies, The Hobbit: The Battle of the Five Armies, The Hobbit: The Desolation of Smaug, Tolkien, Tolkien Estate, Warner Bros.
Beginning this Friday, The American Cinematheque is screening a mini-festival of dark coming-of-age stories — including Peter Jackson’s Heavenly Creatures. Entertainment Weekly writer Anthony Breznican is curating the film fest, and Jackson’s 1994 tale of friendship gone bad screens at the Aero Theater in Santa Monica this Friday. Star Melanie Lynskey will join a guest. Breznican says he chose the film because Jackson created an haunting tale of friendship that simultaneously saves and then destroys two young girls. While this is a true story, it’s an extreme one — but we can all relate to those friends we had who brought out both our strong side and our bad side. The kind of friend your mother doesn’t like you hanging out with. Doesn’t that make you want to see that friend even more? 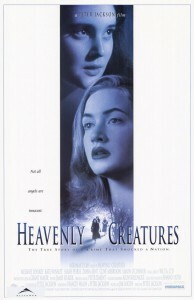 Heavenly Creatures is remarkable for how much ground it covers. It has dark humor, deep love, tragedy, resistance, defiance, and gritty realism — but it also ventures off into the realm of fantasy and imagination. This movie was made long before Jackson ventured into the world of J.R.R. Tolkien, but it illustrates the power that fantasy can provide when we are feeling weak or lost. I remember being stunned by the clay kingdom of the Fourth World, where Kate Winslet and Melanie Lynskey’s characters make their escape. To me, storytelling and fantasy are such potent forces because in a life where we often feel helpless or unseen, our imaginations can help us rediscover what heroism and courage really mean. Sometimes those stories — be it Tolkien, C.S. Lewis, the Marvel universe, or Star Wars — help us find those qualities in ourselves. Other times, there’s the danger that escapism might take us too far. We can become closed off and lose ourselves in other worlds, then find ourselves crushed by the disappointments of reality. That’s what happens in Heavenly Creatures, and it is mesmerizing, terrifying, and stunning to behold. The latest episode of ‘Hobbit in 5’ is now online! Take a look! When the notion of making performance-capture films based on Hergé‘s Tintin stories first came up, the plan was to make three films. 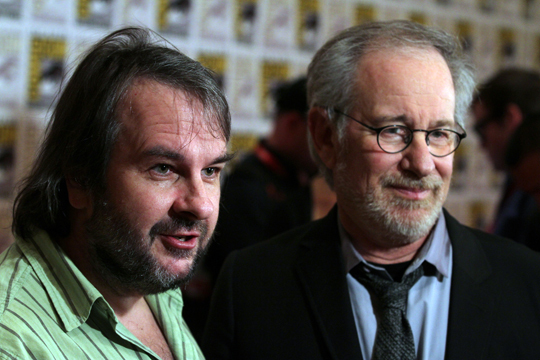 Steven Spielberg would direct the first, Peter Jackson the next, and there was a theoretical third film mentioned here and there. But financing was problematic, and by the time Spielberg’s The Adventures of Tintin was working its way through post-production the film’s subtitle had been dropped and we weren’t hearing much about the second movie. We knew a screenwriter had been hired, but the future of the sequel was less than certain. 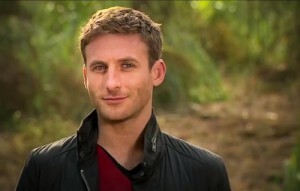 More..
Visit YouTube now to see an exclusive clip of the “Looking Back” featurette!